Magnetisation is transferred from the side-chain hydrogen nuclei to their attached 13C nuclei. This is followed by isotropic 13C mixing and finally transfer back to the side-chain hydrogen atoms for detection. This spectrum is used for side-chain assignment. 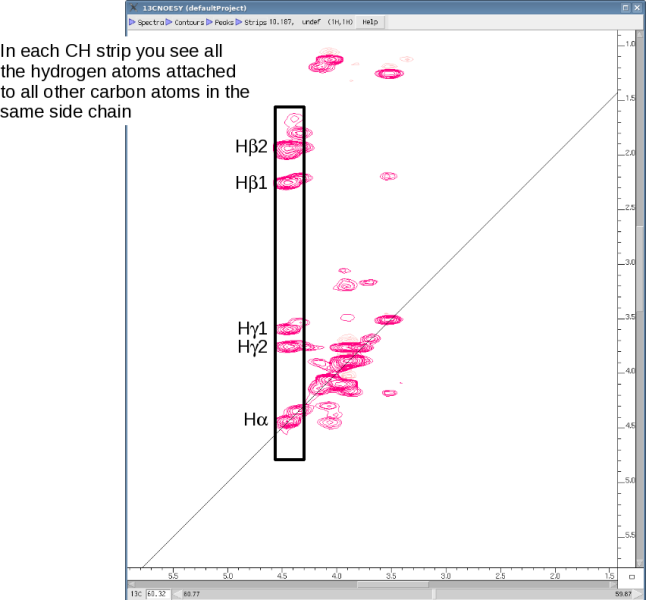 It yields strips at each carbon frequency in the side chain in which all side-chain hydrogen resonances are visible. 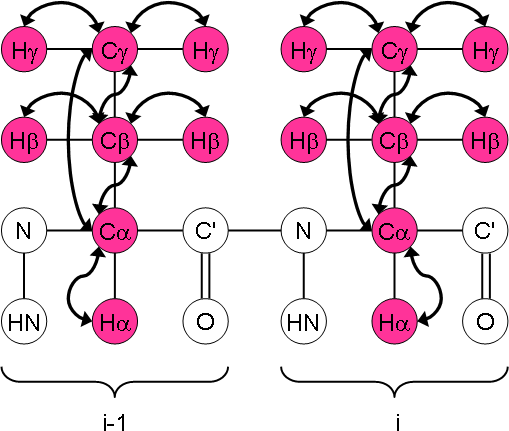 The HCCH-COSY is a slightly less crowded version in which only the hydrogen resonances of the own and neighbouring carbons are visible. Note that the spectrum is usually displayed in such a way that the 1H detected dimension is shown along the y-axis rather than the x-axis. This means that the peaks belonging to one side-chain appear in a vertical strip rather than a horizontal strip.